Going through Stephen King's Song of Susannah in a few short days meant that I simply couldn't not jump into the final installment immediately. With such a cliffhanger ending to cap off the sixth volume, it was impossible not to pick up the seventh to find out how the author would bring this grand saga to an end. Over three decades in the making, it has been a remarkable journey, both for King and his readers. Although he did not quite manage to make it the biggest fantasy series ever written, The Dark Tower now stands tall as one of the greatest sagas the genre has ever seen, second only, in my humble opinion, to Steven Erikson's epic The Malazan Book of the Fallen. Of course, George R. R. Martin may force us to rearrange that order when A Song of Ice and Fire is finished. But as things stand, Erikson and King have written what I consider to be the most impressive fantasy sagas, both in scope and vision, in the history of the genre. Robert Jordan's The Wheel of Time is a very distant third, its grand potential left unfulfilled due to the author's tragic death. But that's for the series as a whole. On its own as the final book, The Dark Tower is a decidedly uneven novel. At times brilliant and at times suffering from poor execution and disappointing plot twists, it feels as though King and his editor tried to cram too much material into this one. In retrospect, it probably would have been better to have an additional installment instead of trying to tie up every loose end in this seventh volume. So in a nutshell, The Dark Tower is a mix of awesomeness and dismaying weakness. Overall, the positive outweighs the negative, true. But it would be remiss of me to overlook these flaws. Worldbuilding did not play much of a role in the first three volumes, with King playing his cards way too close to his chest. More often than not, it felt as though the author was making everything up as he went along and that there were no definite plans as to where the story was going. Wizard and Glass was a major improvement in that regard, and then Wolves of the Calla put this story back on track and it was now quite obvious that King knew exactly what he was doing. Although there were no definite hints as to what the endgame would be like, Wolves of the Calla and Songs of Susannah moved the tale forward like never before. Revelations about the Dark Tower, the Crimson King, the rose, the various whens and wheres, etc, added several more layers to plotlines that were undeniably convoluted to begin with. The sixth installment raised the bar quite high and set the stage for what would likely be a memorable finale. Still, though it provided some answers, Song of Susannah also raised its fair share of new questions. Only time would tell if The Dark Tower would contain all the answers that readers have been hoping for for such a long time. And sadly, it wasn't meant to be. . .
Once again, it's probably due to the fact that so many storylines required resolution, but this final volume offers very little in terms of answers. And while King elaborates much on the Breakers of the Devar-Toi and what they are doing to destroy the Beams, we learn next to nothing about Mordred, his prophecy, and the Crimson King. Oddly enough, the first three parts of the novel resound with depth and are an incredible page-turning experience. I feel that this portion of the tale could have been a novel in its own right. Had there been another book to end the series, it would have provided Stephen King with more room to manoeuvre, so to speak, instead of having no choice but to hurry and rush through the ending as the final quest for the Dark Tower begins. As it were, with only about 400 pages to work with, though the ending itself knocks it out of the park, the last journey toward the Dark Tower is lackluster at best. My biggest disappointments have to do with Walter/Randall Flagg's demise, the entire Mordred plotline, and the confrontation with the Crimson King. The buildup regarding these storylines stretched across several installments/whens/wheres and boy did the culmination for each tank miserably. These showdowns were supposed to be perilous obstacles that the ka-tet would have to overcome before reaching the Dark Tower. And yet, these eagerly awaited confrontations are rushed through as if they didn't deserve more attention. To say that these were anticlimactic would be a gross understatement. With seven volumes spanning over thirty years, I know I'm not the only reader who feels short-changed by how King closed the show on these plotlines. Especially given the fact that they were meant to be of such capital importance. To see the author gloss over them in such a way, as if they were extraneous material undeserving of more consideration, certainly didn't sit well with me. This, after such a brilliant 680 pages or so, was a veritable letdown. . . It may not have been the case earlier in the series, but since Wolves of the Calla, Roland, Eddie, Susannah, and Jake became a true ka-tet and the narrative has been pretty much evenly split between their four perspectives. What I loved the most about Song of Susannah is that they were forced to split up, as they were thrown into different wheres and whens by the magic door in the Doorway Cave. And The Dark Tower begins exactly where the sixth volume ended. To see two of the ka-tet die during the journey hits you hard and makes for very emotional scenes. Another death, near the end, packs a powerful punch and is a truly poignant moment. A number of secondary characters such as Father Callahan, John Cullum, Ted Brautigan, an unexpected familiar face being reunited with Roland, and newcomer Patrick Danville all have important roles to play if the Gunslinger is to reach the Dark Tower. As far as characterization is concerned, these last four volumes have been nothing short of awesome. The death of such major protagonists takes its toll on the reader, however, as well it should. There is a somewhat depressing pall hanging over the narrative for the last third of the book, as if to demonstrate that there is always a heavy price to pay if one is to reach the end of such a quest. The rhythm is kind of crooked, with the first 700 pages or so being impossible to put down, but with the last portion feeling quite rushed at times and often lackluster in its execution. Regardless of those shortcomings, I always knew that the ending would either make or break this novel. And though not everyone liked it, in my opinion it was absolutely brilliant and perfectly brought the saga to a close, what with Ka being a wheel and all that it entails. Truth be told, it was quite a gamble to end the series on such a note and a bold move on King's part. I was a bit perplexed that the author warned readers against reading what follows the epilogue. As if anyone would forgo the pleasure/pain of discovering how Roland's quest would end! Yes, it is a thoroughly bittersweet ending, but it was exactly what this grand saga needed. Stephen King reiterates that the journey is almost always more important than the destination, and it's no surprise that he elected to close the show in such a way. And what a journey it was! One of the most amazing I have ever experienced! I'm a bit sad that the last portion of the tale did not live up to the potential shown by the novel's earlier parts, as I felt that The Dark Tower was heading for a perfect score. The ending was this final volume's saving grace, at least for me. But I can understand why so many readers felt cheated and didn't like the endgame and the finale as much as some other people did. Almost makes you want to read the whole thing all over again! wow, with a review like that it's finally time to get into this. it's been on the TBR pile forever. I just wish there was a nice kindle omnibus or collection to grab at once. Now that the series is complete and no waiting for decades I feel like it really delivered, no noticeable drop in quality in any volume and a great ride overall. I've finished both series and I still The Wheel of Time more. Just my 2 cents. Love this series from beginning till the very end. Read "The Wind through the Keyhole" Pat, its just as good as the others. If some day in the future there is a new edition of Wheel of Time heavily edited, it may be part of the conversation. And I don't know what constitutes a "Saga" (is a trilogy a Saga?) but Malazan is GRANDIOSE! 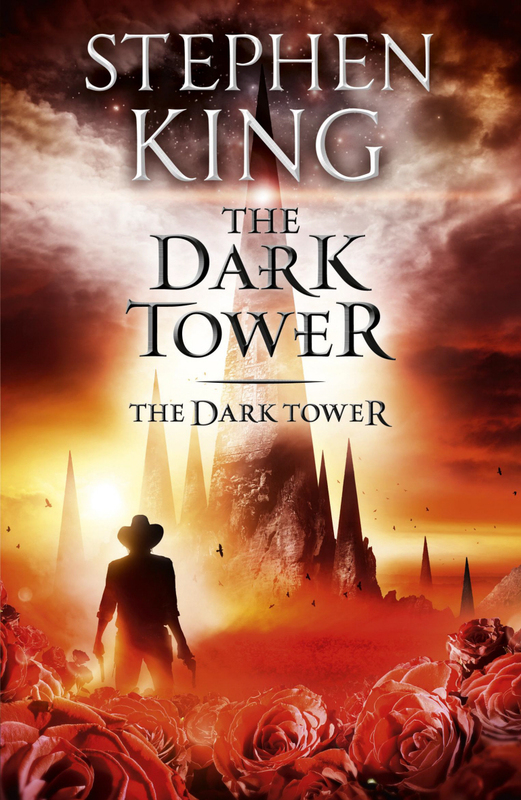 I really thought the beginning of The Dark Tower saga was superb, but then it kind of lost some umph with me. Now, back in the day I was a more straightforward reader and struggled to enjoy the changes from the fantasy setup to the real world (even if still fantastic). Maybe if I reread it I will enjoy it more. Currently reading The Expanse and really loving it, but it is definitely Tier 2 material. I am curious why Pat did not include Sword of Truth! hahahahahahahahahahahaha!!!!! !